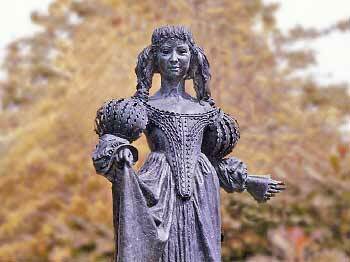 The statue of Lorna Doone in Dulverton. 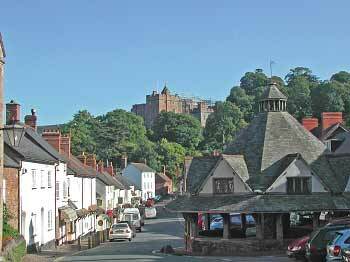 Dulverton and Dunster are two villages close by, which support a variety of high quality shops in beautiful old market settings. 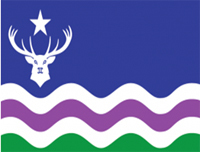 They both enjoy good tearooms and restaurants with Dulverton positioned by the River Barle, and Dunster lying beside its famous castle maintained by the National Trust. 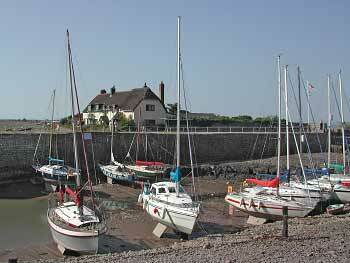 The seaside town of Minehead is a bustling town with a small harbour and interesting shops. It is also home to the West Somerset Railway which runs restored trains the 20 miles between Bishops Lydeard (near Taunton) and Minehead. 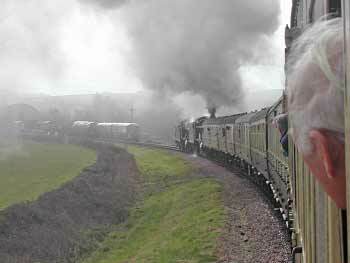 The coastal scenery is stunning and a return trip makes a memorable day out. 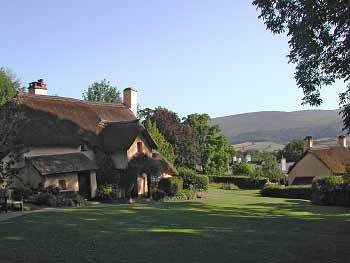 Beyond Minehead you can travel through the picturesque villages of Selworthy and Porlock - both are well worth a visit - and on to Lynmouth and Lynton. 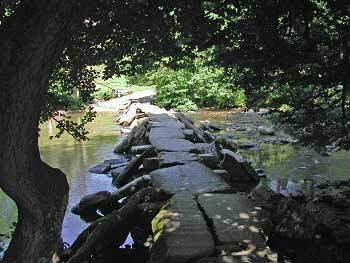 Favorite outings include a visit to Portlock Weir or the mystical Tarr Steps. Further along the coast are the beaches of Croyde, Woolacombe and Saunton - all voted Best Beaches and home to surfing, swimming, sand yachting or just paddling. National Trust properties close by include Arlington Court and Knightshayes Court, whilst English Heritage owns the thirteenth century cloister buildings at Cleeve Abbey. 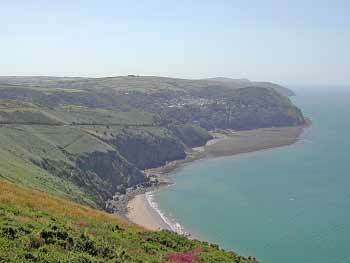 The view from Countisbury Hill is breathtaking. Take the water operated Cliff Railway up from Lynmouth to Lynton and walk through the Valley of Rocks - an outcrop of strange shaped rocks which rise above the cliffs and are full of legends. 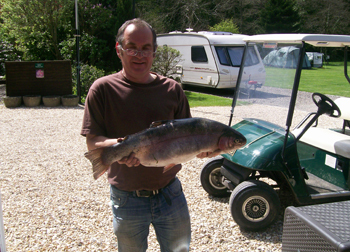 Return to camp from a day's fishing at one of the local fish farms or from Wimbleball or Clatworthy resevoirs.